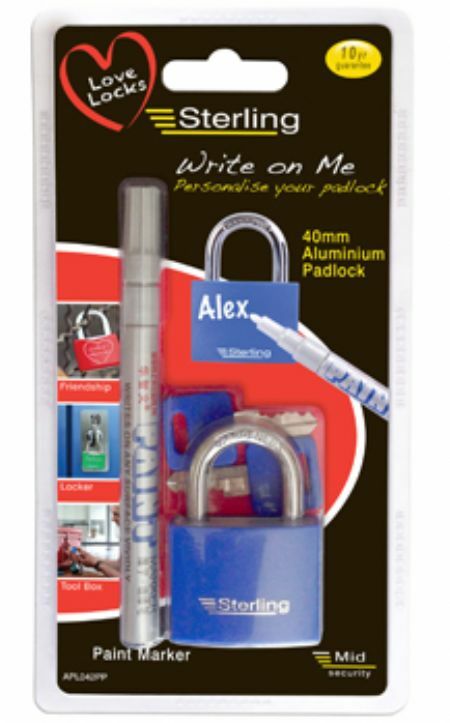 New for Valentines Day, these fun padlocks come in either red or blue with two matching coloured keys and a special silver marker pen for marking the lock with your on personal message. Perfect for declaring your love to the world for all to see! !